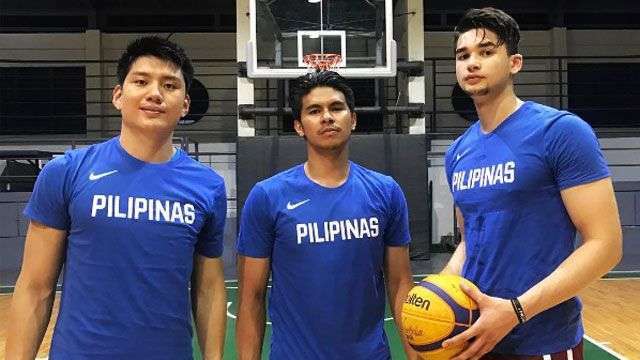 Barring any last-minute roster changes, Kobe Paras, Kiefer Ravena, Jeron Teng, and JR Quiñahan will represent the Philippines in the upcoming FIBA 3x3 World Cup in France. The NLEX Road Warriors big man recently replaced Reymar Jose, who is currently committed to a PBA D-League team, and will join the upstart trio for the international tournament that will be held from June 17 to 21. The national team will try to do better than 2016's ninth place finish (Mac Belo, Karl Dehesa, Russel Escoto, and Glenn Khobuntin) with a more decorated group, composed of an NBA hopeful, a two-time UAAP MVP, two-time UAAP Finals MVP, and a three-time PBA All-Star.